The Diane Von Furstenberg DVF5075 is your fashionable eyewear solution. Made of plastic, the DVF5075 measures 52 mm, making it perfect for medium faces. The DVF5075 comes in an assortment of colors to pair with your unique wardrobe. Its full-rim design adds an extra touch of class. Model comes with a 2-year warranty. 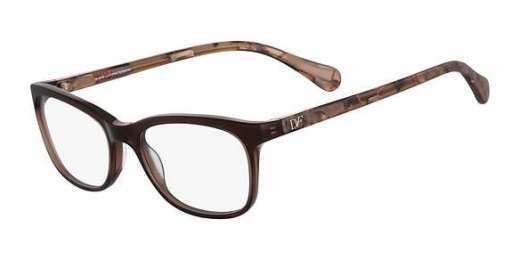 For the best of both style and practicality, you can't go wrong with the DVF5075 from Diane Von Furstenberg. Shop now to take your look to a new level.